The 33rd release on Just Movement welcomes Sam Scheme & Jiminy Hop to the label for their debut single. The Russian duo have gotten a great start to their career’s with appearances on Balkan Connection, BC2 and Inmost Records all in the span of six months. 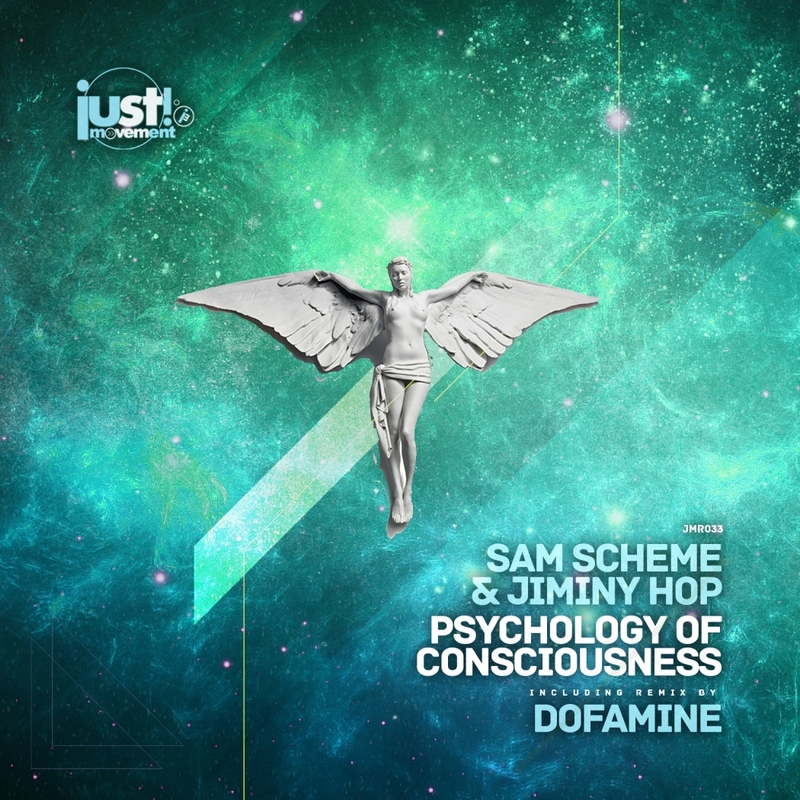 Now making their much anticipated Just Movement debut Sam and Jiminy present their latest single entitled ‘The Psychology of Consciousness’ alongside a remix from Dofamine. Past releases have found the Russian pair showcasing a distinctly progressive sound and that trend continues with ‘Psychology of Consciousness’. A DJ friendly intro leads the way to a short break where charming hypnotics and aquatic synth motifs set-up the full groove. It’s rolling, momentous nature carries nicely into the main break, where broken electronic themes give way to a moment of serenity as hopeful pads descend over the effects laden foundation. It’s a brilliant moment and a well crafted build ultimately leads to a stellar conclusion as a result. The lone interpretation of ‘Psychology of Consciousness’ is provided by Dofamine who is making his first appearance on Just Movement. Also hailing from Russia and once known as Reflection Soul he is fresh off a new single on Bonzai Records. Here he brings his modern progressive take with a deep and groovy rendition. It’s swing heavy foundation brings an immediate dance floor appeal while the hypnotic themes from the original tantalize the senses. Staying relatively true to the original, the main break showcases that one lone synth for a moment of beauty before the rumbling groove quickly takes over and brings the track to a powerful finish. Two great versions to choose from and another awesome release from Just Movement. Don’t miss it.